The "new" host Harker reads today as Georgia learns a lot, especially about boys and pooping. 2008/9 - Menasha, Wisconsin - Parent found sexual content offensive and challenged the book. It was retained, yet school board members voted to adopt procedures to secure and record parental consent before limited access books were given to students. Doyle, Robert P. "1446 Rennison, Louise. 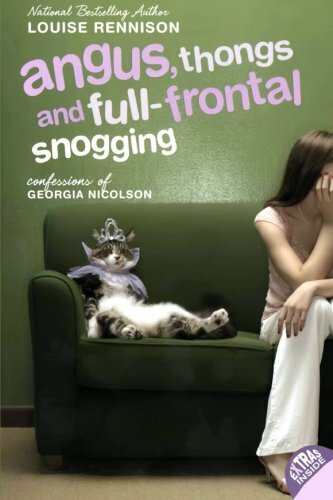 Angus, Thongs and Full-Frontal Snogging: Confessions of Georgia Nicolson." Banned Books: Challenging Our Freedom to Read. ALA, 2014. p269.